Networking Effectively and Ethically Part 2: The Dreaded Networking Event! In my last post, I taught you that you should think of networking differently than you do. “Networking is any time you meet with another person. And while networking should be fun, it is still, after all, work. That’s why it is called “net – work.” It’s going to be time consuming, and in a world that is currently based on instant gratification, you have to slow down and understand that rainmaking is about creating relationships – yes, I said it before, and you will probably hear it again and again, but it is important to know. Because networking is one of the ways to create those relationships. Please stop committing random acts of networking. What I mean by that is that you have to be strategic about what you want to achieve when you are networking. And while sounds maybe a bit mercenary, it’s not meant to be. What I mean is that there are so many places where you can meet people, and there are so many different types of people you can meet. You need to find out where your ideal clients are and meet them there – whether it is on line or off. You need to focus your business networking on the places where they are and not just random locations. What I am talking about here is specifically going to networking events. And while many lawyers would rather get a colonoscopy than go to networking event, if done correctly, you can meet the people who may either become clients or refer you clients. There are three stages to effectively using networking events to meet potential clients or referral sources: before, during and after. Choose events where your ideal clients are going to be. Almost every single industry or business has an association which you can join. Search them out and attend an event as a guest to see if your ideal clients go to these affairs. Look at the attendee list in advance. In some instances, you can contact the organizer to see if you can obtain this list. However, due to past abuses – people pitching their services and cold calling, many of the organizers will not share the list. In this case, see if you can research the members of the organization, connect with them on social media and ask if they will be attending the event. Bring lots of business cards. However, do not hand out your card unless you are specifically asked for one. Instead, you will always ask for their business card. This allows you to be in control of the follow up. And bring a pen so jot down notes on the back of their cards. Turn off your cell phone – unless there is a specific reason, like you have children who need to reach you or infirmed relatives, there is nothing that cannot wait until you are finished with the event. And more importantly, put the phone away. I personally think it is the height of rudeness to be looking at a phone while you are trying to create a relationship with someone. Arrive early. If you are an attorney who does not like networking events or is a self-proclaimed introvert, arriving early allows you to meet the organizer and ask him/her if they will introduce you to the other attendees. In addition, when you arrive early it means that you are not going to be walking into a room full of people which can be daunting for anyone. Instead, you will get to meet people as they enter the event because you will be one of the first people there. Stay until the end. Take advantage of being able to meet and speak to as many people as possible. Do understand that a networking event is not about how many people you can meet or collect their business cards, but about the connections you can make that you can follow up with after the event. Ask questions. When you are networking ask more questions and listen to the answers. Ask follow up questions. The biggest mistake you can make is to make the conversation about you. It’s not – it’s about them. Jot down notes on the back of their cards. It will help to remind you about your conversation or to follow up with them after the event. Do not talk to people you already know. The point is to meet new people. If you see someone that you know, you should say hello and suggest that you meet for coffee at a later date. You can, however, ask people you know to introduce you to those you don’t. Turn off your cell phone and put it away! Yes, I said it before, but it bears repeating. Having your cell phone in your hand or on the table while you are talking with others implies that they are not as important as your device. You have to be the proactive one. You have to be the one to reach out and continue to create that relationship if you think that it will be one in which you will get some business. The reason why you take their card and don’t give them one UNLESS they ask is so that you have the power to continue to build the relationship. If you wait for them to follow up, chances are they will not. Follow up: You only have 48 hours after a networking event before you start becoming a distant memory to people This is where you can reference the notes you took on the back of their card to remind them of what you discussed. Follow up: Even if the person seemingly cannot help you directly you should still try to establish a relationship with that person. You never know who they know. Connect with the people you met on social media as well. Depending upon the age of the person with whom you are trying to create a relationship, they may rather connect on social media than speak on the phone (generational Rainmaking is going to be a topic for another blog in the future). 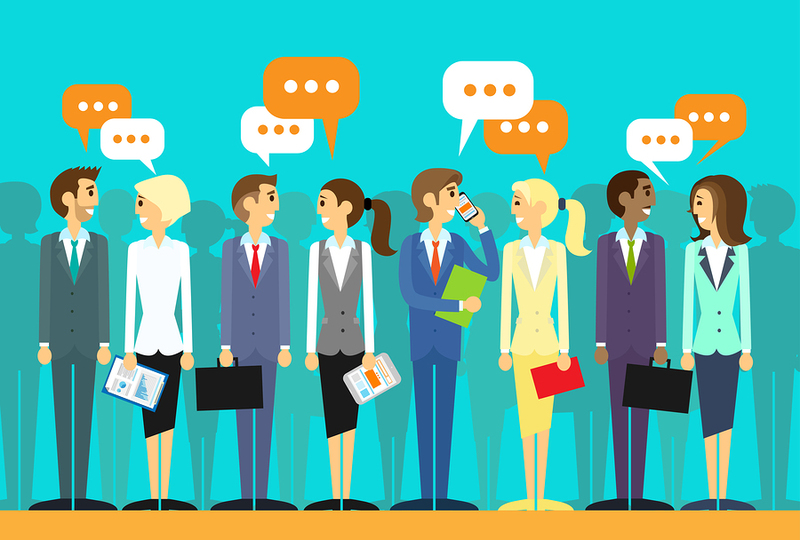 Networking at events, though sometimes dreaded by some, is still one of the best ways to connect with a large number of people at one time. While your goal is not to go and meet everyone at the event, it is to meet enough people with whom you can begin to create relationships. Because, as I have said before, relationships = rainmaking. In the next installment, I am going to discuss the ethical considerations of networking of which you must be aware. So many of the Rules of Professional Conduct can be broken if you not careful. This entry was posted in Guest Bloggers, Marketing and tagged Jaimie Field, Lawyer Marketing, Marketing. Bookmark the permalink.